For the past 24 hours, since CameraGate was exposed, I’ve been trying to think of a good excuse for Bill Belichick and the Patriots. There has to be a good excuse, right? So why couldn’t I think of one? How could I save them from America’s scorn? How could I remove those three asterisks from the Super Bowl titles? Even when I channeled my inner O.J. and decided, “If Belichick did cheat in the Jets game, it’s only because he loved the Jets too much,” it didn’t quite work. The truth is, there’s probably no saving the Pats. Everyone outside New England was searching for a legitimate reason to hate them for the past four years, and now they have an excellent one. Spying on opponent’s signals is just plain seedy. It’s one step above playing footsie with someone in an airport men’s room. It’s a disgrace. It’s embarrassing. 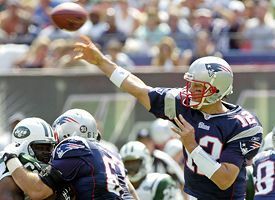 Even though everyone probably cheats in the NFL to some degree, the 2007 Patriots have been caught twice in a month — once because their defensive leader (Rodney Harrison) admitted to buying HGH, once because they videotaped defensive calls at the Meadowlands. We’re on a blistering pace of 17 bastardizations of the sport this season. Simmons: Where do you stand on this whole thing? Part of me is astounded by the negative reaction, part of me feels like we deserve it. Schatz: As a Patriots fan, of course, I’m sick to my stomach. Nobody likes to see their favorite team get caught doing stuff like this. Part of it is having to take the scorn of the fans of the other 31 teams. Part of it is wondering when your genius head coach turned into a total moron. What on Earth was Belichick thinking? The team had been warned by the league multiple times. They were playing the Jets — did they think Eric Mangini had suddenly forgotten everything the Patriots had done when he was their defensive coordinator? Could you guys be a little more obvious with your cheating? On the other hand … the negative reaction to this is just completely overblown (as King Kaufman pointed out in Salon.com today). The Patriots were breaking rules because they are obsessed with getting every minor strategic advantage, but that doesn’t change the fact the strategic advantage is minor. The idea that suddenly all three Super Bowl championships are tainted is ridiculous. 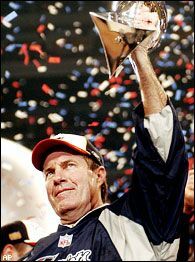 If they caught Tampa Bay doing this, would people be suggesting that the Bucs’ 2002 championship was tainted? Terrell Davis actually suggested on NFL.com that the league should ban the Patriots from the playoffs for two years. You know, since that’s how the NFL became the most popular sports league in America, by sending a message to every sports fan in six states that they should go away and stop paying attention for two seasons. On the other hand, I can’t say I’m completely shocked because there have always been whispers about Ernie Adams, Belichick’s longtime consigliere who was immortalized in David Halberstam’s book about Belichick three years ago. People wondered about Adams because he didn’t have a defined role — he wasn’t an offensive genius or a defensive genius in the conventional sense, but Belichick clearly considered him to be indispensable (only we didn’t know exactly why). Word on the street was Adams had a photographic memory that enabled him to remember every play that either worked or didn’t work in any possible situation, as well as a supernatural ability to decipher signals and audibles of opposing teams as the games were happening. The thing is, I always thought he did this using binoculars, which is something every team does. (Check out this Rick Reilly column from five years ago in which Mike Shanahan admits to stealing signals.) That’s why coaches and offensive coordinators call in plays while hiding their mouths. It’s not because they have bad breath. But using an actual cameraman to tape signals on the other team’s bench? It’s all so seedy and Watergatey. I’m depressed. Over everything else, why in God’s name did we have to cheat to beat the Jets??? Couldn’t we have saved the chicanery for the Chargers game when we actually needed it? Schatz: The Patriots don’t cheat against San Diego. They dance against San Diego. Disco fever! This is what we know: Teams in every sport often cheat in little ways to try to get a small advantage. When cheating is exposed, teams are punished. You take your punishment like a man, and you move on — and the fans of the other teams ALSO move on. The Patriots did something wrong, but the level of the response is just ludicrous because so many fans just hate the Patriots — not because of anything the Patriots have done, but because of the constant praise they’ve received from the media over the past few years. There’s no question the league should punish the Patriots, and taking away a rinky-dink second-day pick is pointless. They should take away a higher pick, maybe a second-rounder. I certainly would not find that unfair. Should they suspend Belichick? I can’t remember a head coach ever being suspended for a game in the NFL. Stuart Fraser from FO suggested the league should do us all a favor and just suspend Belichick for the second Jets-Patriots game so that we don’t have to put up with endless analysis of any Belichick/Mangini on-field meetings. It should be a realistic punishment to fit the crime, and then we should all move on. Unless you want to retroactively remove Gaylord Perry from the Baseball Hall of Fame and force the San Diego Chargers to forfeit any game Shawne Merriman played before his positive steroids test last year. Simmons: Merriman had a positive steroids test last year? Whaaaaaaaat??? I thought LaDainian “I stole Lawrence Taylor’s nickname” Tomlinson just told us the Patriots were the cheaters. I’m so confused. The next thing you’re going to tell me is that Luis Castillo failed a steroids test right before the 2005 draft or something. Schatz: I loved how Tomlinson told reporters today that the Patriots’ motto is “if you’re not cheating, you’re not trying.” What’s Shawne Merriman’s motto? Simmons: I think it’s “I’m going to be the last Pro Bowler ever who failed a steroids test during the same season he made the Pro Bowl.” You’re right, people love hating on the Pats. I even wrote a column about this last January. Look, I get why people hate the Red Sox — the fans went a little overboard after October ’04 (myself included), and we get to spend more money than everyone else in baseball except for the Yankees and Mets. Even during a season where they might finish with the best record in baseball, there was no real art to how Team Theo put the team together. They just spent a ton of money on free agents and poured a ton of money into their farm system, and when they spend buttloads of money on the wrong guys (Renteria, Clement, Drew, Lugo, maybe even Dice-K), it never matters because they can always cut their losses and spend money on someone else. They have a legitimate competitive advantage and they’re smart enough to take advantage of it. As a Red Sox fan, this makes me happy. As a baseball fan, this makes me unhappy. Part of the charm of the 21st century Patriots — at least for me — was that they remained consistently good without any real financial advantages. The hard salary cap prohibits an NFL team from saying, “We need a good receiver, let’s offer Chad Johnson $110 million over five years,” and even when a team with deep pockets (like the Redskins) splurges on free agents with big signing bonuses, it’s a short-term boost that hurts them long-term. For an NFL team to win 79 games and three Super Bowls over a six-year span and have its most talented roster in Year 7, it requires a superhuman effort from the coaches and the front office. You have to nail the draft, you have to determine who’s expendable and indispensable on your roster, and you can’t make any major mistakes in free agency. And this needs to happen year after year, without any slips. So for a team like the Patriots to remain competitive for more than five years … it’s practically impossible. I never thought they got enough credit for that. They didn’t win for the past six-plus years because they cheated; they won because they out-thought and out-drafted everyone else. Here’s the thing that shocks me: I always thought Belichick cared too much about his legacy to risk tainting it like this. He’s a history buff and someone who allowed Halberstam to follow him around simply because he understood the intrinsic value of a great writer capturing his “brilliance” in a widely read book. The whole thing is just bizarre. I’m a big Watergate buff, and there are some eerie parallels to last Sunday’s Jets game and the ’72 presidential electon — not just the spying symmetry, but that neither the Patriots nor Nixon needed to take the risk. Nixon had the ’72 election locked up but was so paranoid, he allowed his guys to basically defame Edmund Muskie and George McGovern and tried to break into the Democratic headquarters multiple times. Belichick knew he had a better team than the Jets, but he tried to steal their signals anyway. Let’s hope this doesn’t lead to a disgraced Belichick climbing on a private jet in 18 months and raising his arms defiantly in the air. Schatz: It is strange Belichick would let his history be tainted like this, but then again, I’m not exactly sure how tainted the history is going to be. Are people going to be thinking about this when the NFL Network does a new version of “America’s Game” in 2017? In the long run, this is going to be relatively forgotten. It will be a footnote to the dynasty, a funny story like when some guy from the 1967 Packers talks about how they gouged each other’s genitalia at the bottom of the fumble pile. Hey, remember a couple years ago when the Steelers accused the Colts of piping in crowd noise at the RCA Dome? Remember when the Broncos broke salary-cap rules in order to build the 1997-98 championship team? Remember when Jim Haslett said there was rampant steroid use by the Pittsburgh Steelers during their dynasty years of the ’70s? Remember when Herm Edwards admitted to breaking NFL rules by using Stick-Um even after it was banned in 1980? And remember when Lawrence Taylor said he used to send hookers up to the hotel rooms of opposing running backs while he sat at home doing blow? I mean, are we taking away the ’86 Giants’ Super Bowl championship too? Come on, already. This stuff happens. Simmons: And, as we learned from the Tim Donaghy scandal this summer, people tire of scandals pretty quickly. We have the attention span of tsetse flies at this point. When that Donaghy thing happened, everyone thought it would dominate the rest of the NBA’s offseason … then the Celts pulled off the KG Trade and everyone shifted into “Wow, the Celtics are good again and KG finally landed on a good team, this is amazing!” mode. The Donaghy story only had a weeklong shelf life. David Stern never got enough credit for forcing Kevin McHale to make that KG deal. Schatz: The public’s hatred for the Patriots is a different issue, of course. I think that in the era of the Internet and 24-hour media, a successful team just gets shoved down the public’s throat about 100 times stronger than back in the ’70s or ’80s, so people have stronger emotions about the teams they are tired of hearing about. It doesn’t help, for example, when SI runs a cover that says “Tom Brady is a God,” which is slated for this week. It also just so happens that the rise of the Patriots coincided with the rise of a number of football writers who happen to be from New England: you, me, Michael Smith, Peter King — well, he was already well-established, but you get the point. Nobody knew about his Red Sox loyalties until the Internet era and the weekly MMQB, and people naturally assume that if he is pro-Red Sox he must be pro-Patriots. Simmons: That’s a great point. When Dallas went on its run in the ’90s, I specifically remember thinking, “OK, I’m tired of these guys, I’m tired of watching them. I’m tired of reading about them. I want them to go away.” (And I liked watching those Cowboys teams — to this day, I will argue the merits of Emmitt Smith over Barry Sanders with anyone at any time.) Everyone outside of New England started feeling that way about the Pats three Januarys ago, when they rolled through Indy and Pittsburgh and outlasted the Eagles with a devastated secondary because Donovan McNabb wasn’t in shape. Of course, everyone from New England is completely befuddled that our blacksheep Pats ever rebounded to the point that anyone would ever say, “I’m tired of these guys. I wish they would stop winning and go away.” I’m more cynical than you about the national repercussions of CameraGate, but you could be right: There’s a chance it will die down after Sunday’s Pats-Chargers game, which had “Game of the Year” potential (and still might), only now, it’s going to be overshadowed by nonstop debate about that Jets game and the validity of the Pats dynasty. On a personal note (and this is terribly depressing to write), I had already reached the point with professional sports where any story about someone “cheating” didn’t faze me. I wasn’t even 1 percent shocked by the Harrison or Rick Ankiel stories. I wouldn’t be shocked if it was revealed tomorrow that Pujols, A-Rod or Big Papi hooked themselves up to HGH IVs after every game, or that KG and Kobe dope their blood like Tour de France cyclists, or that Tiger Woods spent $25 million to develop an advanced form of HGH that can be taken orally every day like a Flinstone vitamin. Athletes, trainers and coaches are always going to be searching for an edge, whether it comes through performance enhancers, stealing signs, corking bats or whatever else. During Game 7 of the ’81 Eastern Conference finals, the Sixers stupidly allowed the CBS cameras inside their timeout huddles, so Celtics coach Bill Fitch sent a ball boy scurrying into their locker room before every timeout to see what the Sixers were planning on TV. With one second remaining, trailing by one, Billy Cunningham diagrammed a half-court alley-oop lob from Bobby Jones to Julius Erving — if you watch the replay on NBA TV, you’ll see him spell out the entire play to his team and how it should work. The ballboy caught everything, ran back on the court and told Fitch what was coming; Fitch alerted the Celtics, who were so prepared for the play Jones ended up winging the pass off the top of the backboard. 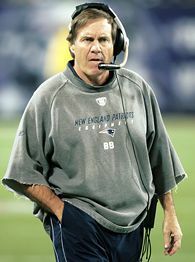 On the cheating scale, was Fitch more or less culpable than Belichick last week? Tough to say. Did Fitch’s play-stealing eventually taint how I feel about “Boston 91, Philly 90,” one of my all-time favorite Celtics games? Hell, no! That’s one of my favorite games of the Bird era, and Philly deserved to lose for letting CBS into its huddles in the first place. I feel the same way about giving the Patriots-haters something to sink their teeth into. It upsets me. But I just don’t think the cheating thing is new. People in sports have always looked for a way to get better than the other team, even if it was technically against the rules. They did it in the ’20s and ’30s, too, but the relationship between the media and players was different then, so it wasn’t reported on. It has continued to the present day. That Broncos story remains the best analogy. The Broncos broke the rules. They were punished by losing two third-round draft picks. However, fiddling with the salary cap didn’t hand them the championship, and anybody who says that the 1997 and 1998 Broncos did not deserve to win two Super Bowls is an idiot. 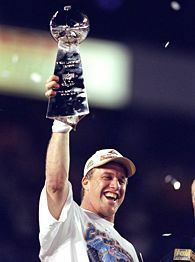 Come to think of it, if the public does decide that cheating renders your Super Bowl championships void, do we get to start making fun of John Elway because he could never win a ring? Simmons: We can’t make fun of Elway in this space, ESPN is still operating under the “No More Elway Jokes For 10 Years” umbrella that went into effect after Norm McDonald humiliated him at the ’98 ESPYS. But I’m with you. If we’re going to stick an asterisk next to the ’01, ’03 and ’04 Pats, don’t stop there — it needs to extend to Elway’s Broncos (cap cheaters), DeBartolo’s Niners (cap cheaters), the ’90s Cowboys (drugs and hookers), the ’86 Giants (coke), the ’85 Bears (Tony Eason was on the other team), the ’70s Steelers (steroids) and pretty much everyone who ever won a Super Bowl. Well, you’ve done it. I’m now in the proper frame of mind to defend the Patriots and turn my attention back to the first-ever 16-0 season in NFL history. Thank you for talking me off the ledge, Aaron Schatz. Simmons: I went to an Irish-Catholic college so I didn’t get that joke. Simmons: You’re right, I didn’t get that one, either. But I still laughed. Thanks again and good luck trying to determine the negative DVOA of the Chiefs offense on Sunday.